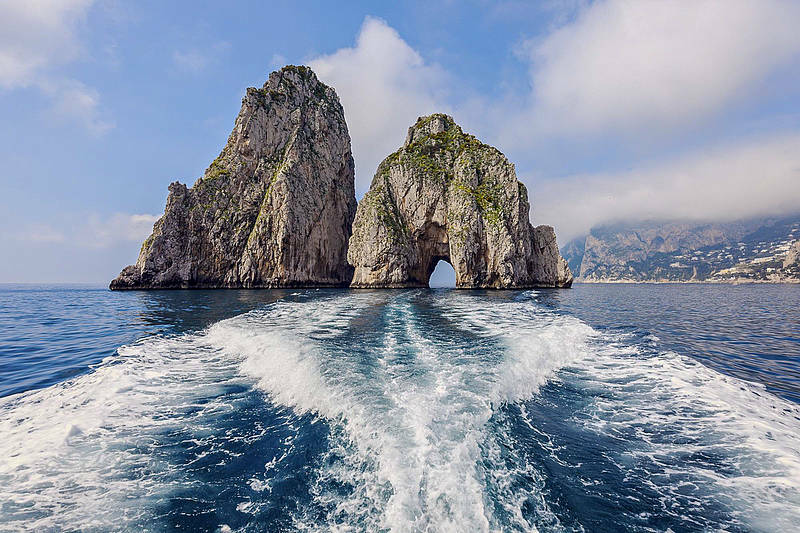 Capri Boat Tour (Car from Positano to Sorrento Port). From: Positano - by You Know! Boat tour of Capri departing from the port of Sorrento, including a transfer by private car service from Positano to Sorrento. 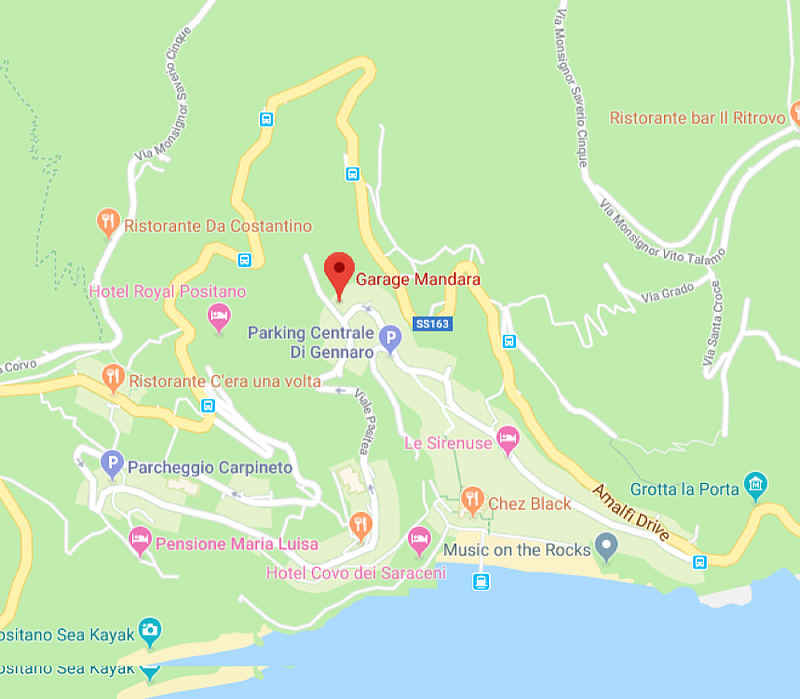 Meet up at 9:15AM at the Mandara parking lot in Positano and transfer by private car to the Piano di Sorrento port. 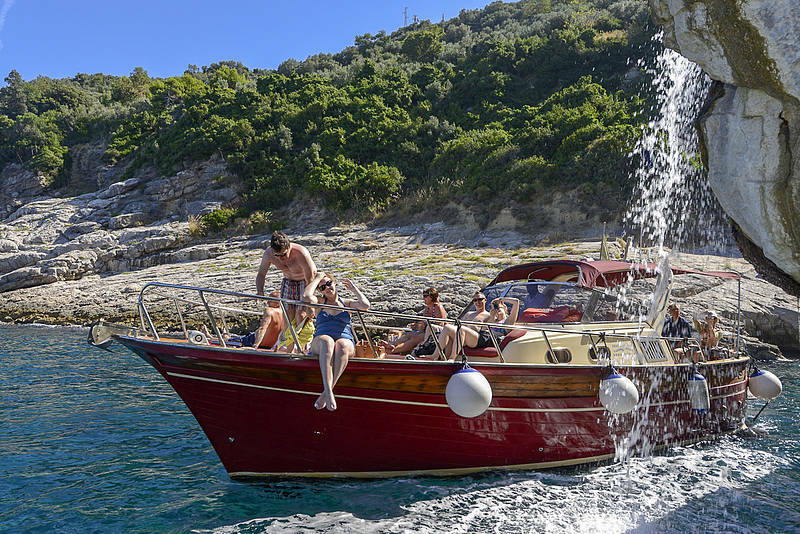 Departure via traditional gozzo boat to sail along the coast and admire the Villa della Regina Giovanna Roman ruins, the natural waterfalls, and the picturesque fishing villages. 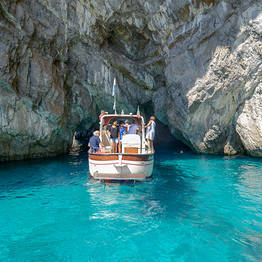 Sail around the island of Capri with stops at the Grotto of Wonders, the White Grotto, and the Green Grotto. 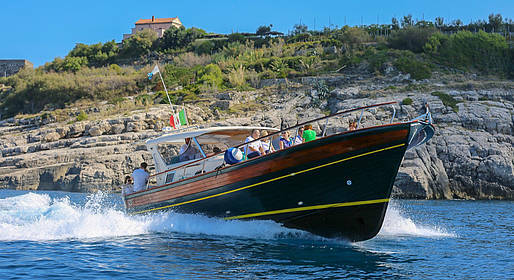 We'll also pass beneath the Faraglioni and sail past the Punta Carena Lighthouse and Natural Arch. 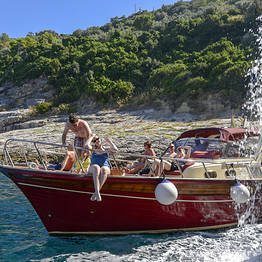 Includes a few stops to swim and snorkel, and to drop anchor for a snack and drinks (provided on board). Dock for 3 to 5 hours to explore the island on your own by land. Return to the Piano di Sorrento port with a limoncello toast. On board: alcoholic and non-alcoholic beverages, snacks, life jackets for adults and children, snorkeling gear. 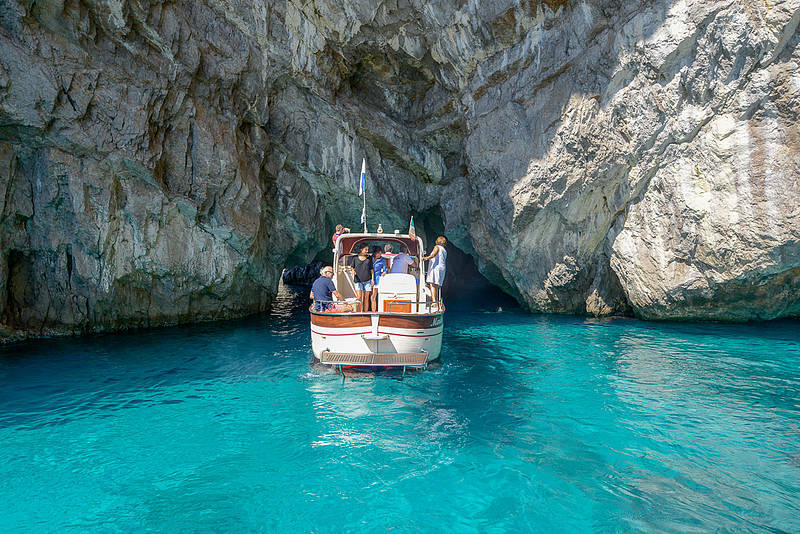 Stop at the Blue Grotto: due to the long lines that form to enter the cave, this tour does not include a stop at the Blue Grotto. 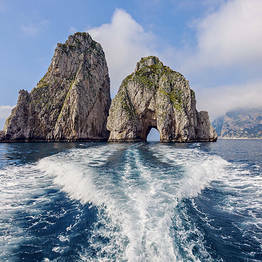 You can visit during your free time on land on Capri. 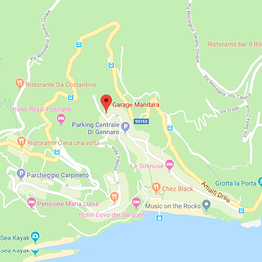 Purchase tickets directly at the grotto entrance for €15. This tour is available in Spanish on Tuesday, Thursday, and Saturday. The tour is only in English and Italian the rest of the week. In case of inclement weather or sea conditions, the tour will be cancelled at no charge.